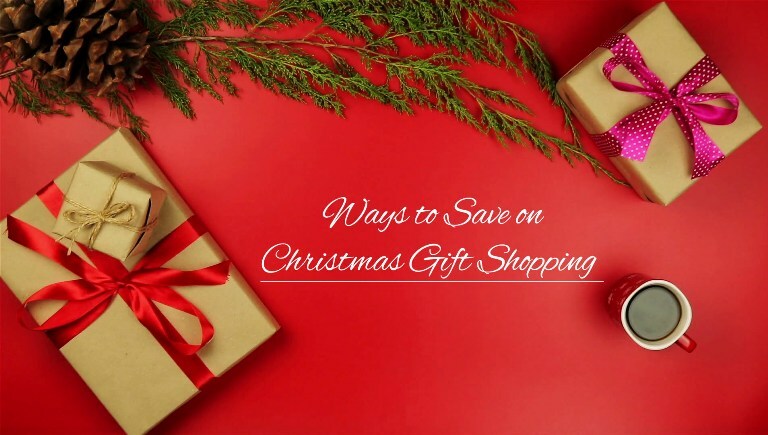 7 Ultimate Ways of Saving on Christmas Gift Shopping! It’s obvious to feel joyful and excited about the upcoming Christmas festival celebration. Thus, you won’t want to fall into a situation of any financial crunch during this cheerful festivity. It’s great to become Santa for others and especially for the needy ones on this Christmas but before you head start with Christmas Gifts shopping, some ultimate ways of saving will definitely help you enjoy the time to your fullest. Be it Christmas gift shopping or buying Christmas decoration items, clothes, lights, eateries and other things alike, the list is long and definitely holds the potential of making you run out of your budget. Thus, despite all the excitement and willingness of celebrating the festival with a blast, it’s important to make some points on saving funds as well. Not only this will help you in cutting your expenses but will also help you in saving money for some last minute wants. Make use of last year’s decoration items then buying new ones again and again. Despite buying new lights for Christ decoration at home, take in use the previous year lights again this time. Cutback cost on new serving plates and bowls by spending on less expensive disposable cutleries. Bake the Christmas cake at home than buying the expensive ones during Christmas shopping time. 1. Give a Thought to Re-gifting! One of the most preferred ways of saving on gift shopping during X’mas is by considering re-gifting your way out. There might be plenty of gifts you had received from your loved ones which didn’t used. Well it can be a coffee mug, a painting, a book or anything that you can pass on to your loved ones on this Christmas and save money on buying new stuffs. 2. 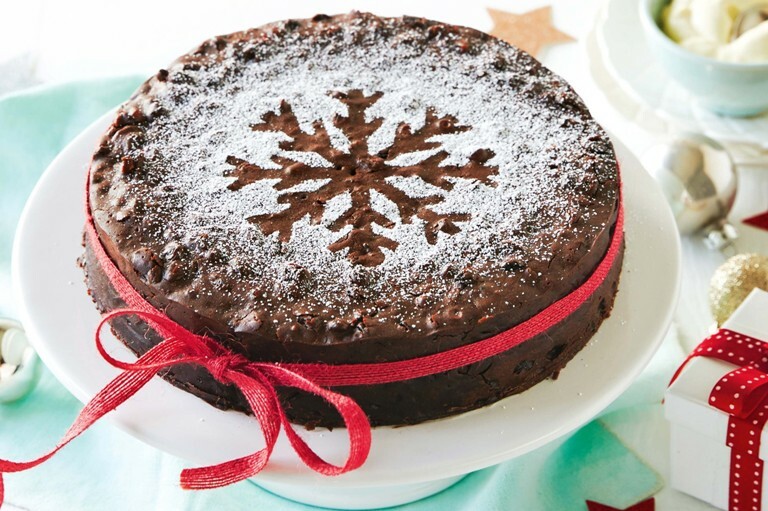 How About Baking Little Christmas Cakes at Home? The idea of gifting Christmas cakes during the festivity and wishing everyone Merry Christmas with small cakes is the perfect way of bringing smile to the face of loved ones. Also, you save a lot on spending your money on expensive cakes available at bakeries or nearby cake shops. You can even tray baking Christmas special cupcakes and gift a set of 4 cupcakes to every loved one of yours. Another way-out to save some money on Christmas gifts is by searching for things at home that are never used and are novel things to pass on as Christmas gift to loved ones. Well you can see if there in any painting at home that you might have but never placed on the wall. See if there are any decorative pieces at home that didn’t fit your needs. A cushion or coffee mug, a jar of chocolates or anything that is in novel state can be an excellent Christmas gift. No wonder, this will help you in saving a lot on buying a new gift online or offline. 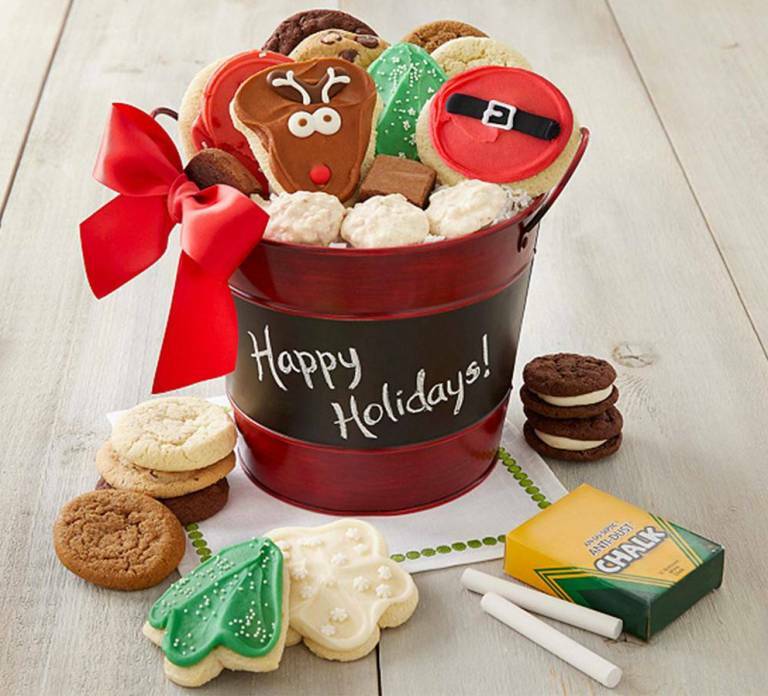 Despite looking up expensive Christmas gifts, make smart choices by looking up for inexpensive eateries that can be ideal Christmas gifts like jar of cookies, box of assorted chocolates, Christmas special snacking items, Jar of fruity candies and things alike. 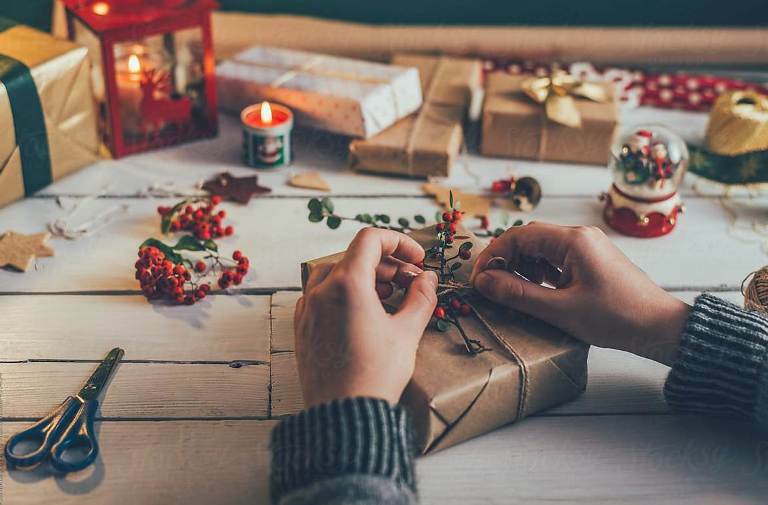 Despite planning to gift something special or expensive to dear ones on the festive day, it will be great to be thoughtful and look for some inexpensive yet very delightful things. You can try making hampers of fruit juices, assorted chocolates and cup cakes, personalized coffee mug with coffee sachets and pack of cookies, a hamper of Christmas tree decoration items and things alike. This way you will make your gift look a little bigger and fuller without spending much on it. 6. Try Your Hands on DIY! One of the amazing ways of making Christmas gifts for loved ones lighter on your pocket is by trying your hands on DIY projects. If you have interest in DIY things then it’s a plus point but if have never been into DIY things then first give it a try by choosing simple things and then enjoy gifting your creations to your loved ones. You can try making DIY Christmas wreath, paint plain white mugs and fill then with cookies. 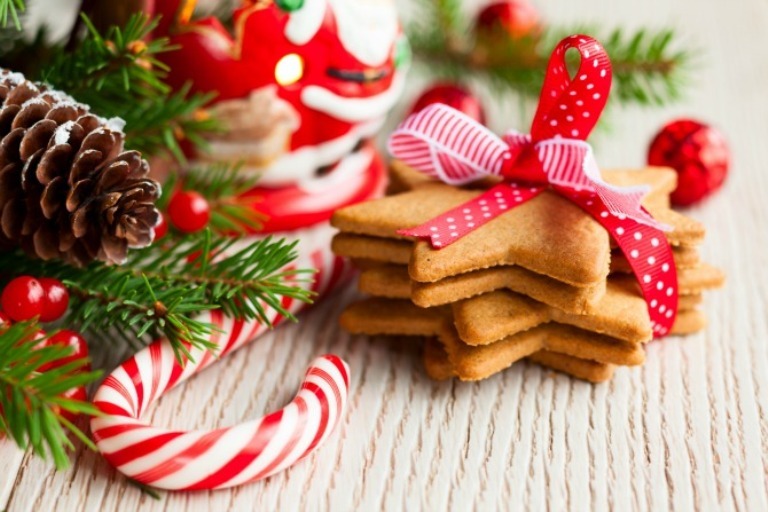 Else you can also create Christmas tree shaped cookies, paint plain cushions with Merry Christmas messages, paint old mason jars to create a candle lamp and things alike. 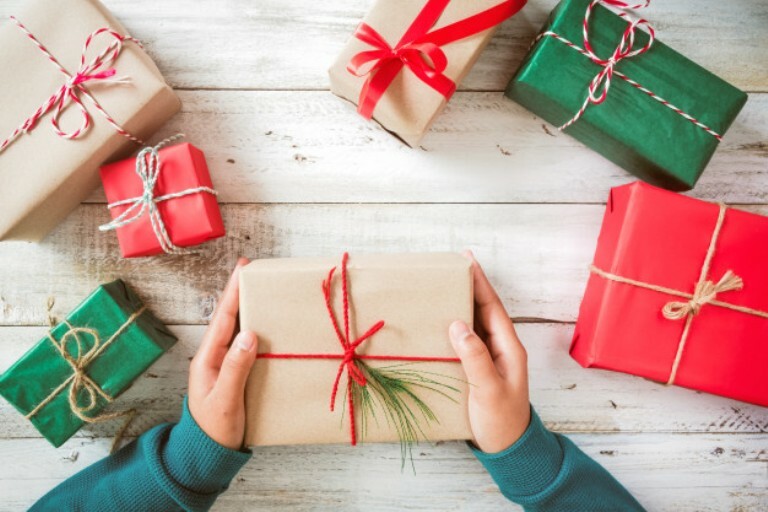 Another additional way of saving on Christmas gifting is by wrapping the gifts at home then get them packed by a nearby stationary or gift store. Especially if you bought gifts from any other reliable store at affordable prices and planning to get them wrapped from another store then just for wrapping the gifts you will be charged a lot. So, buy wrapping papers at home and show your creativity. Christmas gifting is the real way of conveying happiness and affection with everyone. To make this act of gifting and sharing festive greetings with loved, a joyous thing for everyone, above were some ultimate ways of saving on Christmas gift shopping. To know what are the ideal Christmas Gifts to make choices for, explore the elite Christmas Gifts range here at GiftaLove.com. The portal will also help you send Christmas Gifts to India and worldwide via efficient delivery network.